The Sony Cyber-shot DSC-RX100 IV is an advanced point-and-shoot that boasts a 16 FPS photography shooting speed, 4K movie recording, and Super Slow Motion frame rates up to 960 FPS in 1080p and even up to 1000 FPS when shot in PAL. The enhanced Exmor RS CMOS sensor supports an electronic shutter speed up to 1/32000th to minimize any distortion from rolling shutter when filming fast subjects. This feature is handy for still shooters as well since the extra fast shutter capability allows for wide-open aperture photography even in bright conditions. You also have access to a built-in 0.9-stop neutral density filter. 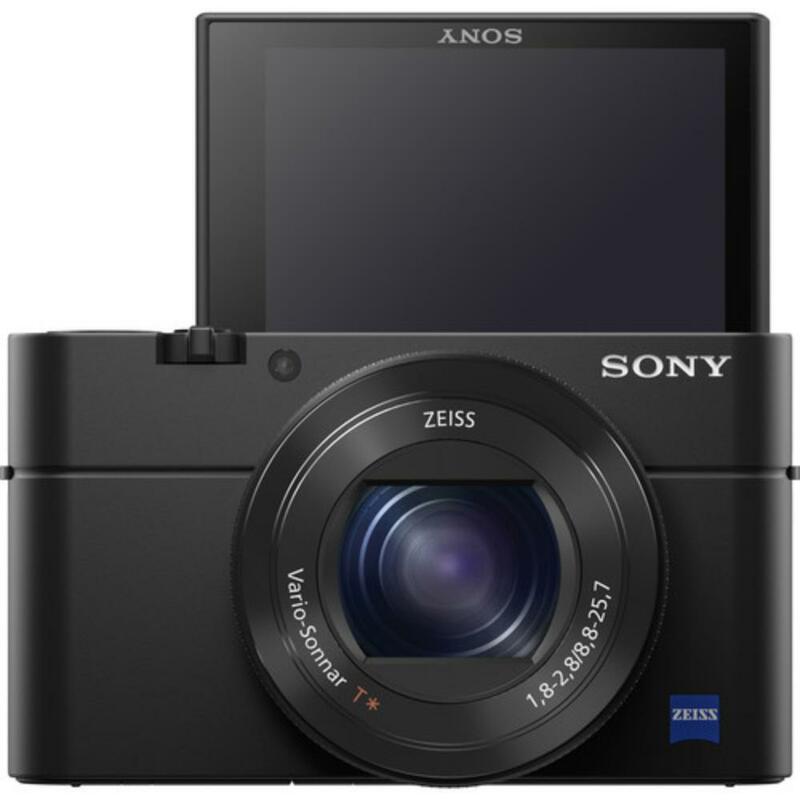 This camera also sports an OLED electronic viewfinder in addition to a tilting LCD for maximum flexibility in composing shots. 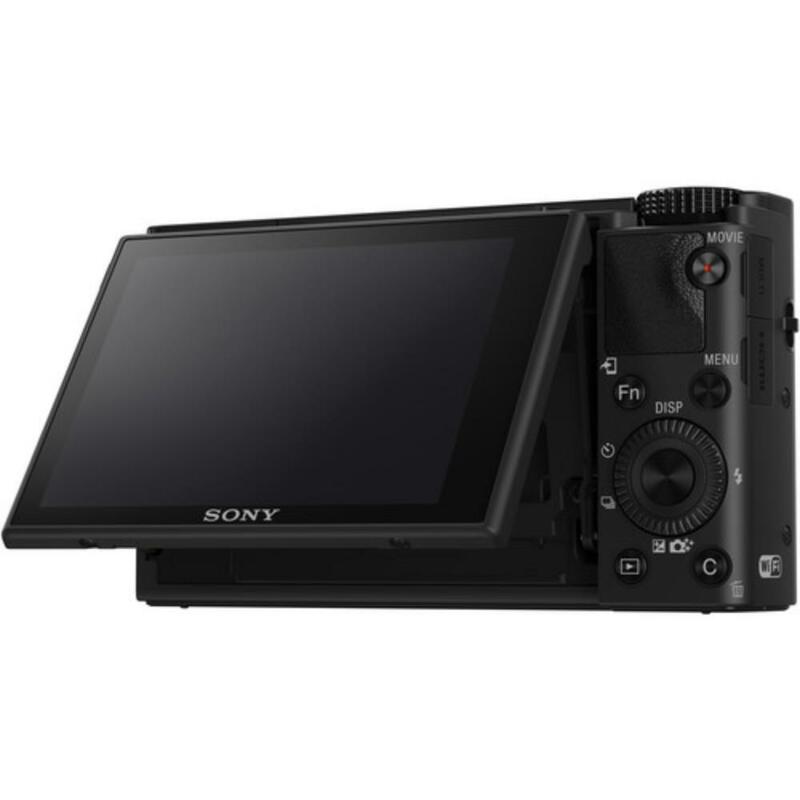 It also features SLR-like setting controls and the built-in lens includes a manual control ring with a smooth, click-less design ideal for videography. 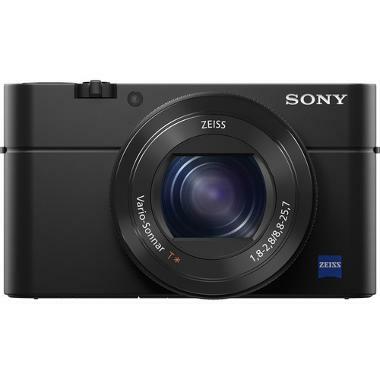 This small camera is ideal for vacations without sacrificing the high-end features of DSLRs. Special Note: This camera tends to overheat when shooting in 4K for long periods of time. Please use caution. • UHS Speed Class 3 SD cards are recommended for 4K shooting with this camera. • This camera has a built-in 8.8-25.7mm (35mm Equivalent = 24-70mm) f/1.8-2.8 lens and you will not be able to remove it for other lenses. • This camera does not have GPS. • UHD 4K video at 30/24 FPS can be captured for up to 5 minutes internally. • Continuous non-4K shooting is possible for approximately 29 minutes (limited by product specifications, default setting). 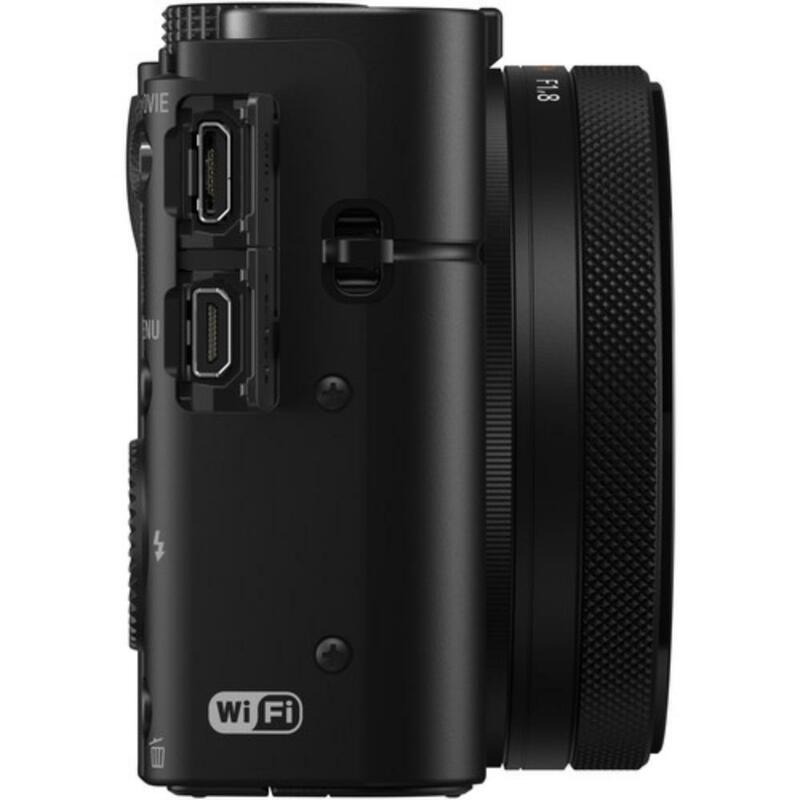 • This camera tends to overheat when shooting in 4K for long periods of time (like to an external recorder). Please use caution.